Daryl Johnson (Worcester Park, United Kingdom) on 10 October 2012 in Architecture. 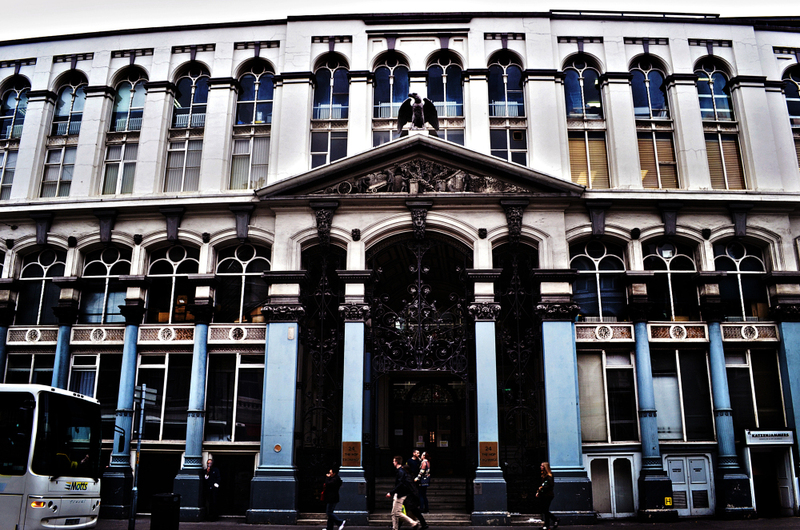 Opened in 1867, formerly a centre for hop trading for the brewing industry, located near London Bridge. I seem not to have seen this place - joyful details to to it. @Ronnie 2¢: Thanks Ronnie! if you walk from the back of Borough Market in the direction of Waterloo, it's right there (see tomorrow's photo for a view of the other side of the road). Never seen this before, just noticed the eagle guarding the entrance, wonder what the significance was? @Ainsley: Don't know Ainsley, but everything seems very grand... Would have liked to have seen inside, it looked private though. A beautiful building and superb architecture. Great shot. What a beautiful architecture! Fine capture. A lovely image of this stately building.